Charlotte Reed refuses to end up like her grandmother, mother, and older sister–pregnant in their teens. She’s sworn off all boys and romantic relationships, desperate not to be caught in the same cycle as her family. But that’s before she meets Tate Collins, famous musician and all around heartthrob. Charlotte must choose between the life she wants and the life she thinks she should choose. This book has been on my TBR list for what feels like forever. I enjoyed reading it; it captured my attention and I devoured every page. The writing style was more descriptive than I usually find in YA contemporary romance novels, but that didn’t hinder my reading experience. Overall, I liked the premise and the book wasn’t overly cliché in how it addressed Tate being a rock star. Charlotte had a strong voice and I liked her as a character, and overall the book read really well. As I was reading the book, as I stated above, I really enjoyed it. However, after finishing it and thinking about it for a day or so I realized a few things that I didn’t really like. Let me preface this paragraph by saying that as I was reading, it felt somewhat believable that Charlotte would want to be with Tate all the time even though it was her first time having a boyfriend; that part worked for me. What I didn’t like was that I felt as though her and Tate rarely had actual normal conversations or banter between them; it seemed to me that they were just constantly making out and disagreeing on the terms of their relationships. While Charlotte might’ve been unhappy in her choices for the future, I didn’t want her to throw away everything she worked for because of a boy (I understand that she did that partly because she realized it wasn’t what she actually wanted and Tate had inadvertently helped her see that but that’s sort of how it read to me). Tate’s tragic backstory on why he’s afraid to go too fast in their relationship was plausible and I accepted that. The girl who kept randomly showing up in bathrooms to tell Charlotte to steer clear of Tate was believable too–until her actual motives became clear and then I felt as though the book got super cliché and not in a good way. I thought the girl might relate back somehow to Tate’s backstory, but it didn’t and felt a bit out of place. Overall, this book was fun and enjoyable to read; it had a great writing style (reminded me of the Shadowhunters novels writing style but in first person form!). Fans of musicians and YA contemporary romance will devour it like I did. It wasn’t my favorite, but I would still recommend it and might read it again. As a reader, although I know it’s not realistic, I love a happy ending to a YA contemporary where the couple gets together. With that being said, I didn’t like that in this book. I felt that Charlotte forgave Tate way too many times, and finally at the end she was where she wanted to be in life and then when Tate showed up again she went right back to him despite all the hurt he’d caused her. He goes out of his way to hurt her feelings and then always comes crawling back begging for forgiveness. I thought that was sending a bad message to female readers, in a subtle and I’m assuming unintentional way that it doesn’t matter what a boy has done to hurt you, you should forgive him anyway. At times (many times) he was borderline stalkerish which would’ve been really creepy had he not been famous. 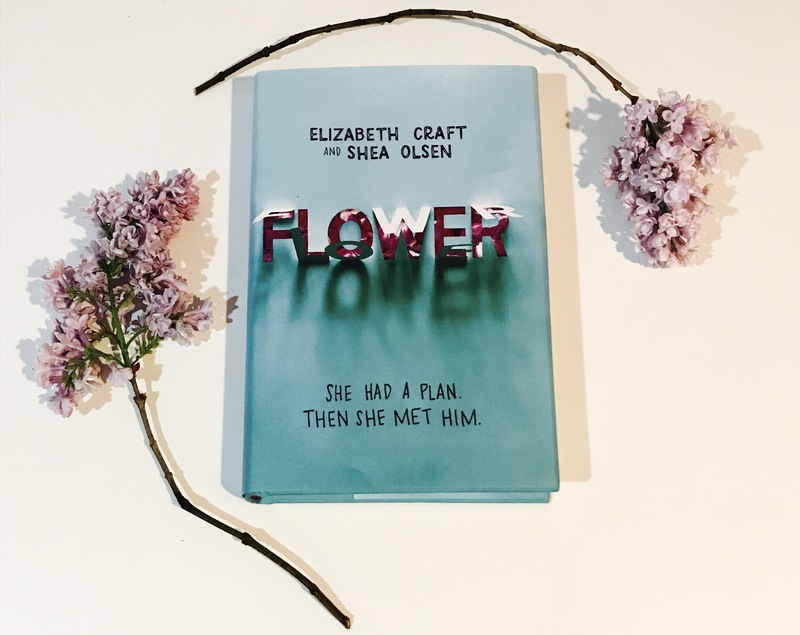 Have you read ‘Flower’? Let me know your thoughts!